The PlayStation Plus games for August 2017 have been revealed, and it includes two great titles for the PS4. Six new games will be available on 1st August, and include Just Cause 3 (PS4) and Assassin’s Creed: Freedom Cry (PS4) – both are rather good games. Lets hope this is a good indication for future games too. 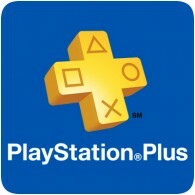 July’s PlayStation Plus games will be be removed from the PlayStation on 1st August, so be sure to grab them before they’re gone.